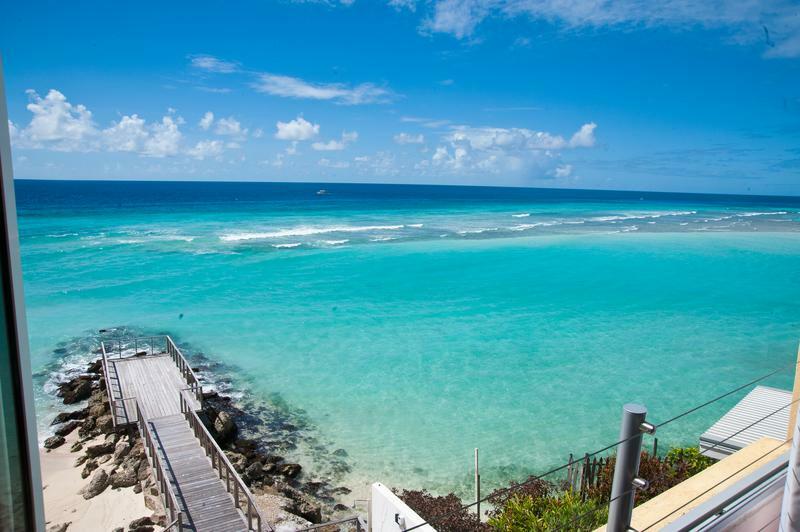 Barbados defines the term vacation. Families, friends, and couples (lots of honeymooners!) have made the island known as "the crown jewel of the Caribbean" the Caribbean island with the most repeat visitors. 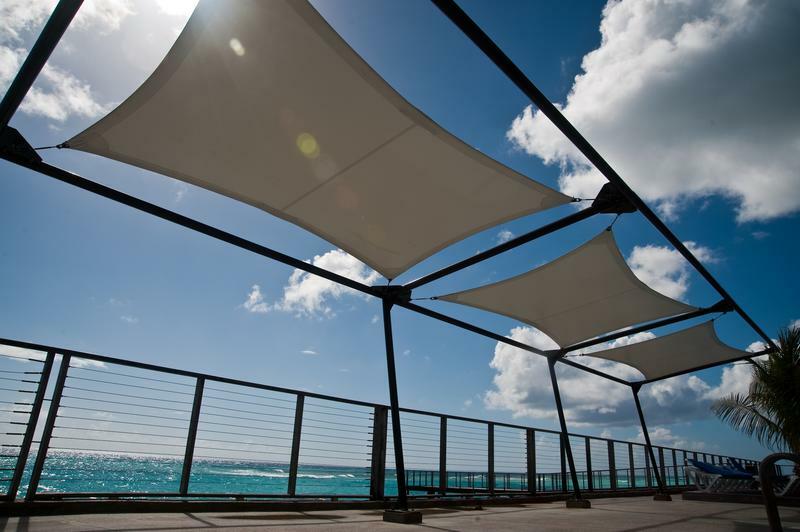 Stroll (or power walk) along Barbados' one-mile-long South Coast Boardwalk, a short drive from the vacation rentals presented on this site. 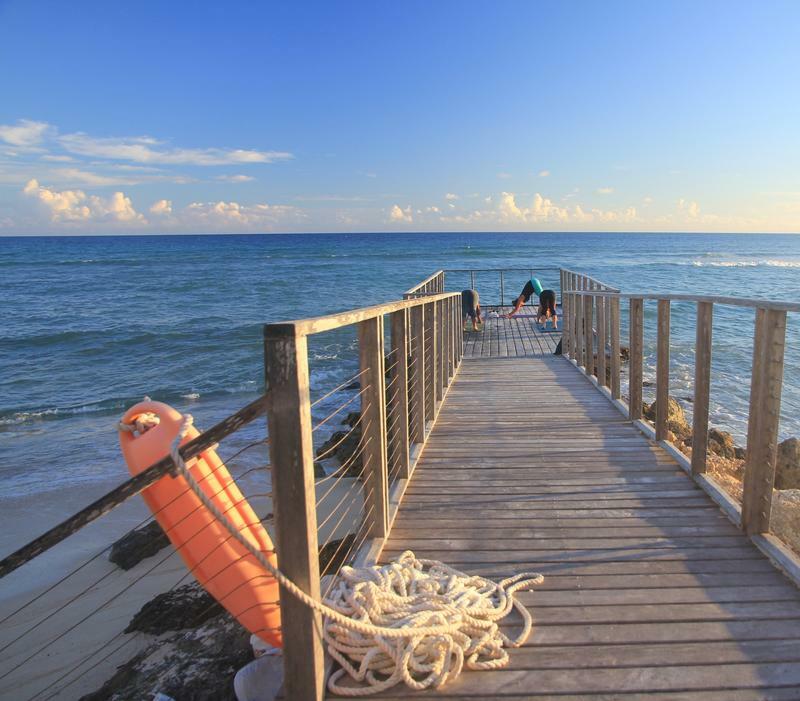 The Boardwalk offers an amazing vantage point to enjoy the sunset. And while you're there check out Tapas Restaurant, one of my very favorite spots for seaside island dining. Yum! 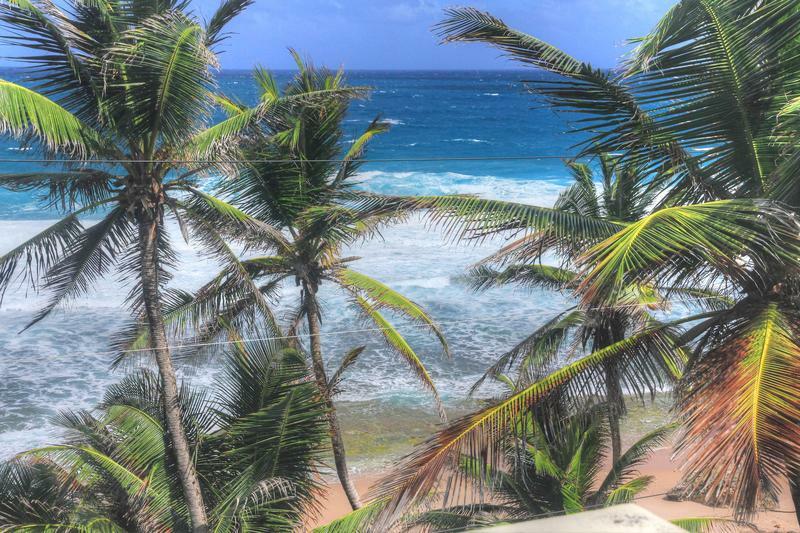 Jump for Joy: You're in Barbados! 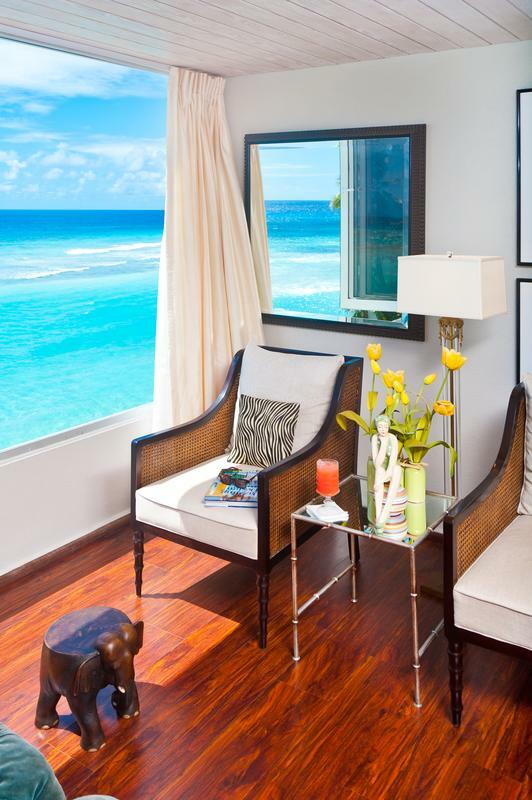 Waking up each morning to a vast, unobstructed sparkling aqua Caribbean Sea view is Barbados-lovers' preferred mode of getting a day started. What a way to start or end a day in paradise! The St Lawrence Beach Condos offers yoga on its picturesque jetty. Throw open the windows that line the wall to the sea to welcome the fresh sea breeze. This is Watercolours , a pretty one-bedroom condominium in the St Lawrence Beach Condos. With nothing but the soft sounds of the sea, you may decide to substitute that novel with a nap! Looking for the Best Sunset Viewing Spot? A particularly picturesque spot for saying good-bye to your day is in your back yard when you stay at the St Lawrence Beach Condominiums. 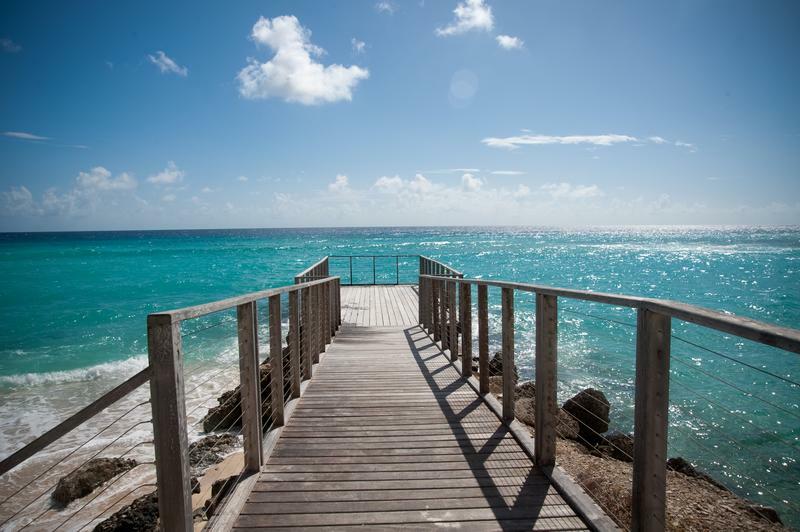 The east coast of Barbados features the vast, wild beauty of the Atlantic Ocean. Attracting pro surfers to its famous "Soup Bowl," the east coast of the island hasn't changed much in 100 years. Definitely worth exploring on a day trip. Dine at the fabulous Atlantis Hotel - yum! One of my very favorites. 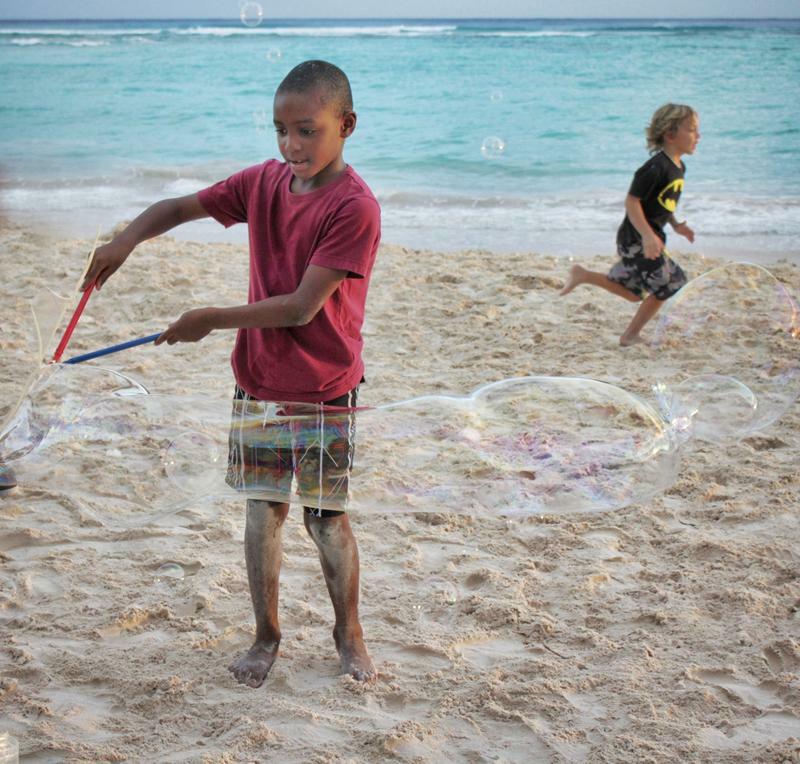 Your child ... and your inner child ... will run, play, and maybe even make big bubbles! This is Sandy Beach on the south coast. I took a bucket of glycerin mixture and a bunch of wands, which drew children from all over the beach. 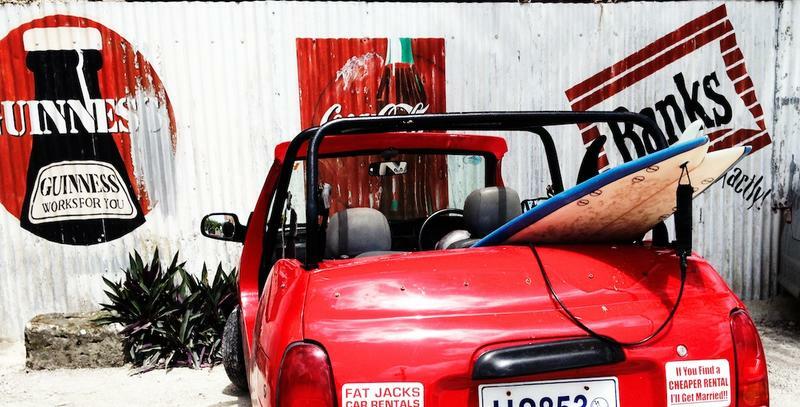 We love the casual Mojo, on the South Coast Road, for burgers, fish, salads, and a rum punch that will put you in the reggae groove. 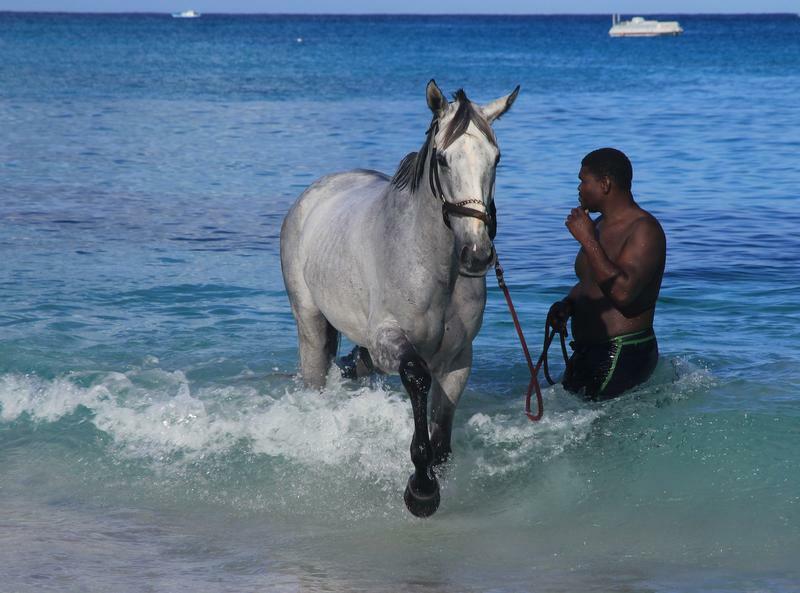 After their intense workouts, the trainers take the race horses into the sea. Which, of course, the horses love as much as we do.